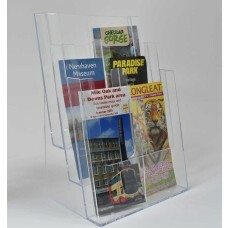 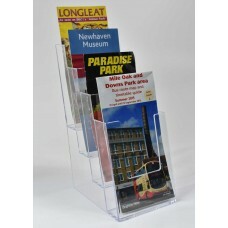 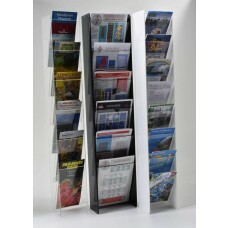 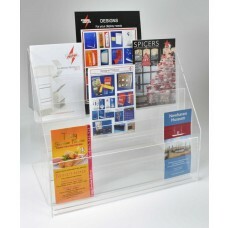 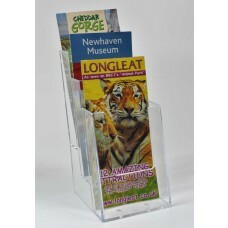 We at Striking Displays, stock a full range of standard tiered free standing clear acrylic leaflet dispensers to suit your literature needs. 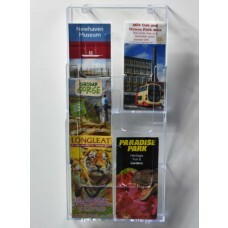 Selling both portrait and landscape dispensers and additional dividers to display your brochure, magazines, leaflets, catalogues and more. 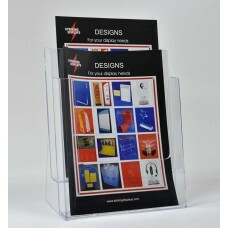 Dividers cost 65p each plus vat, please request quantity required with your order. 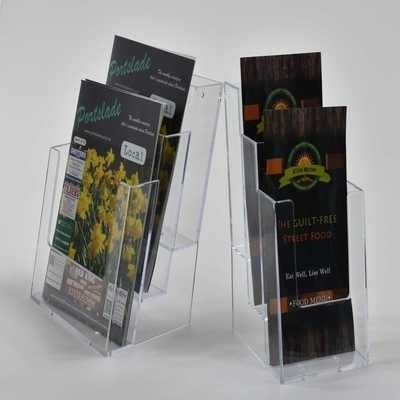 These dividers enable either 8 x A5 sections or 12 x DL sections providing a compact solution to display a large number of different point of sale leaflets or brochures. 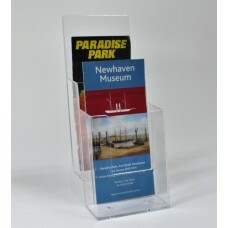 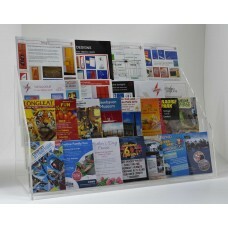 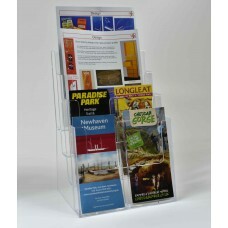 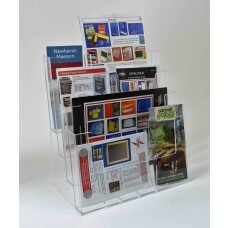 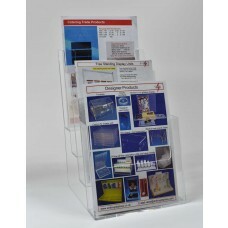 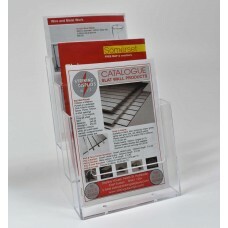 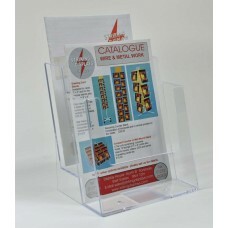 Click on the images of the tiered brochure holders below for more product information.